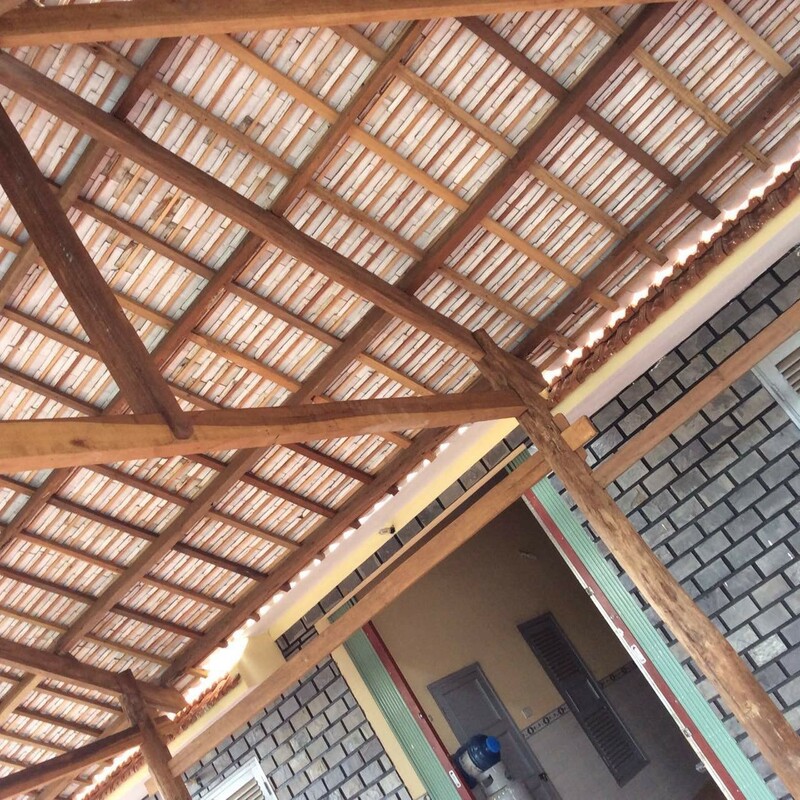 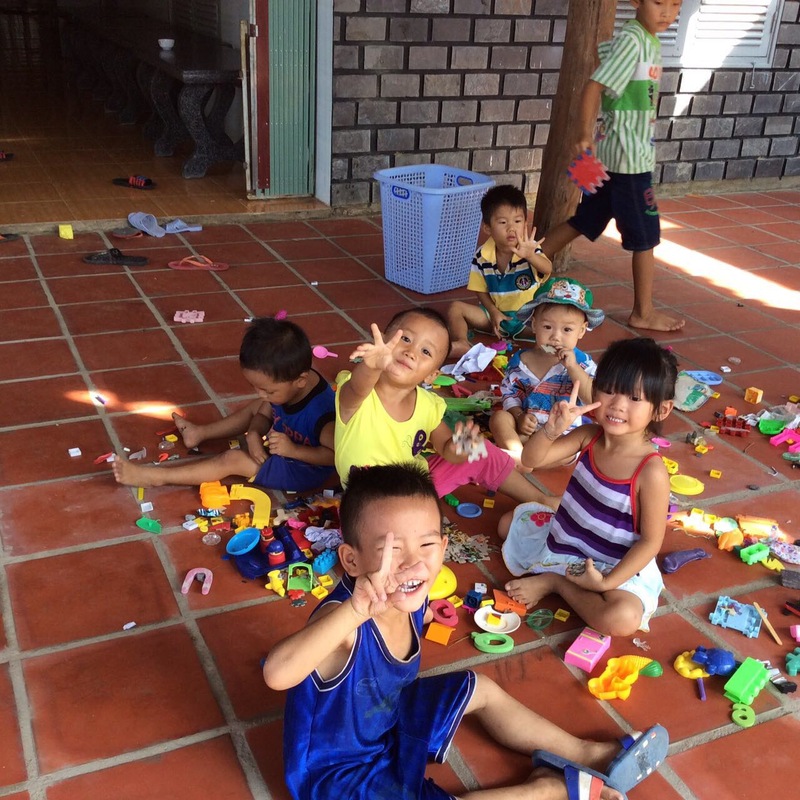 On May 30, 2016 we completed our construction of a new covered courtyard for the Lac Thien Orphanage. 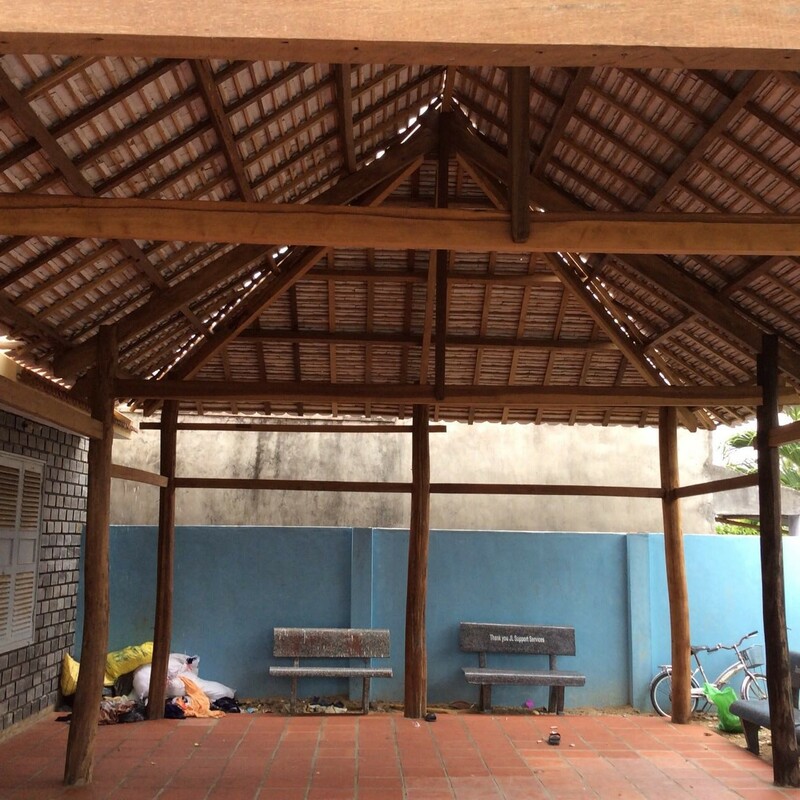 While Lac Thien already has a roofed eating area, their courtyard was a dirt ground exposed to the elements. 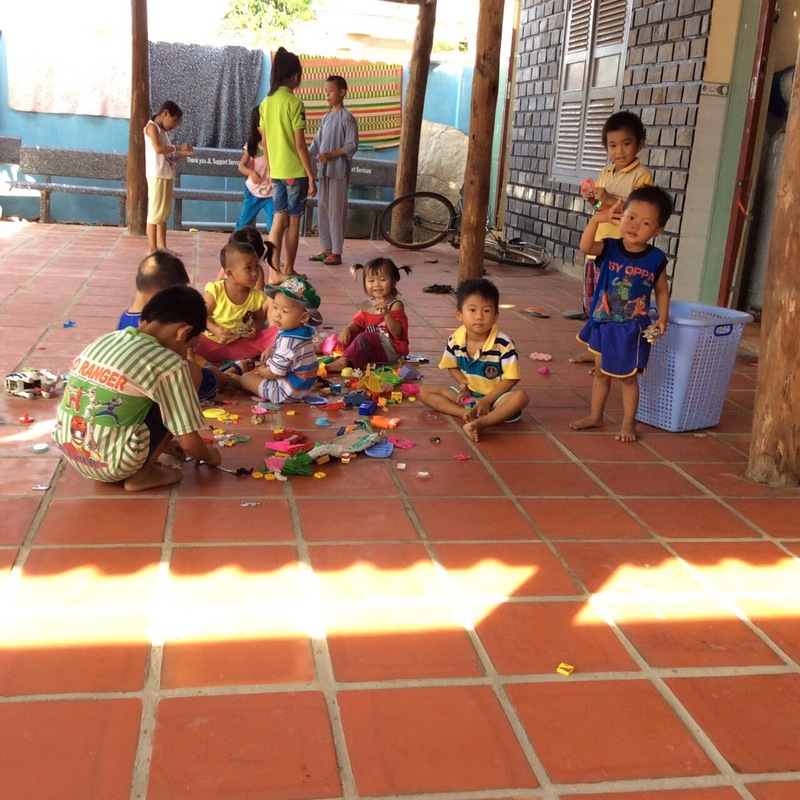 That meant blazing hot sun in summer and torrential rain in winter, with no place for the children to play. 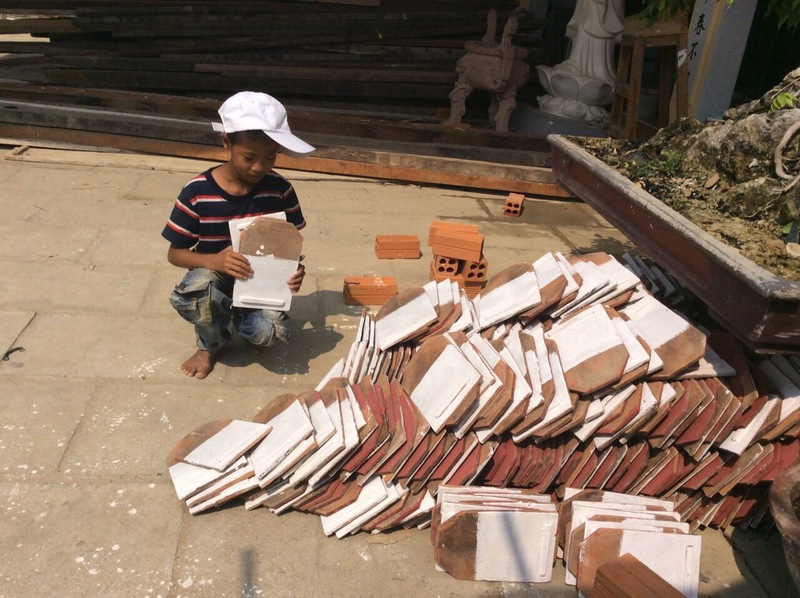 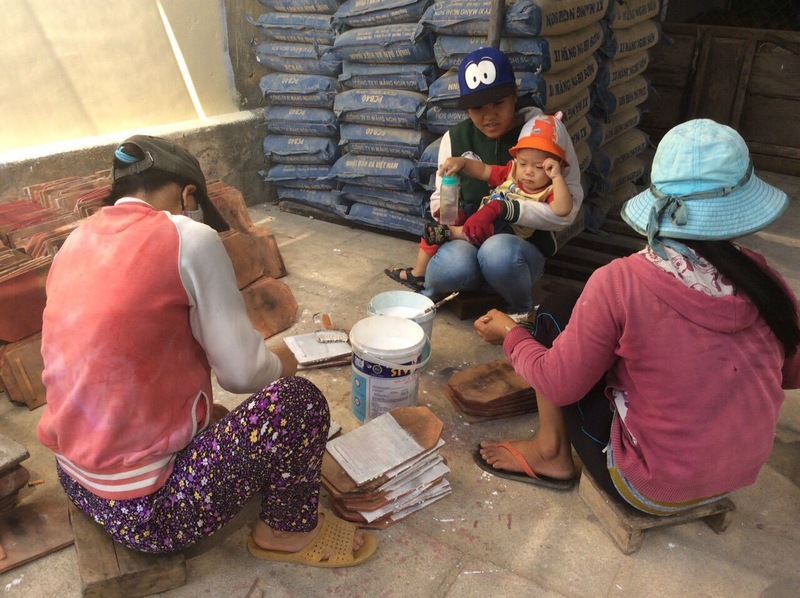 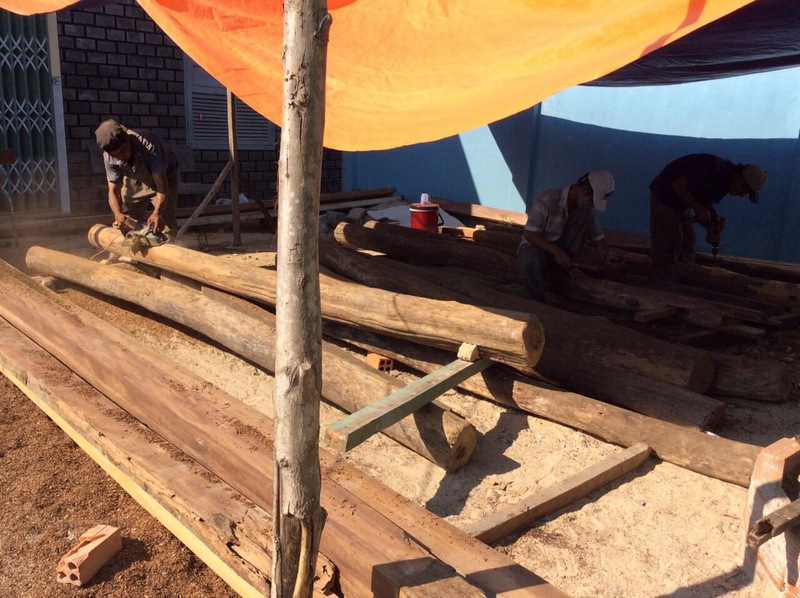 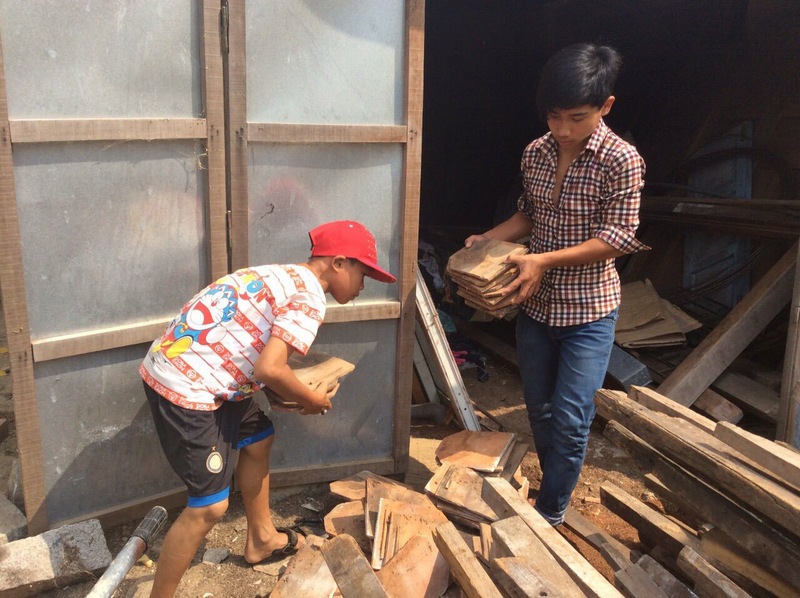 We began construction one month ago to provide the orphanage with a tiled courtyard and a sturdy roof. 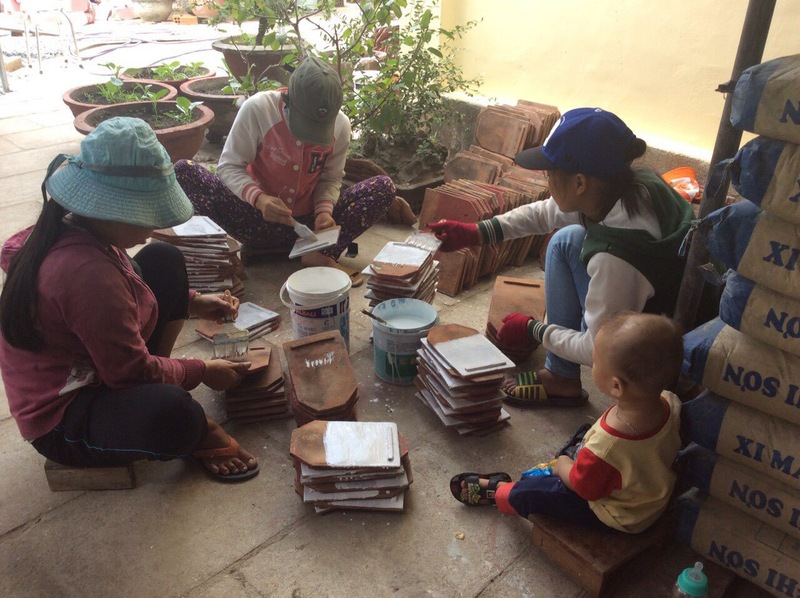 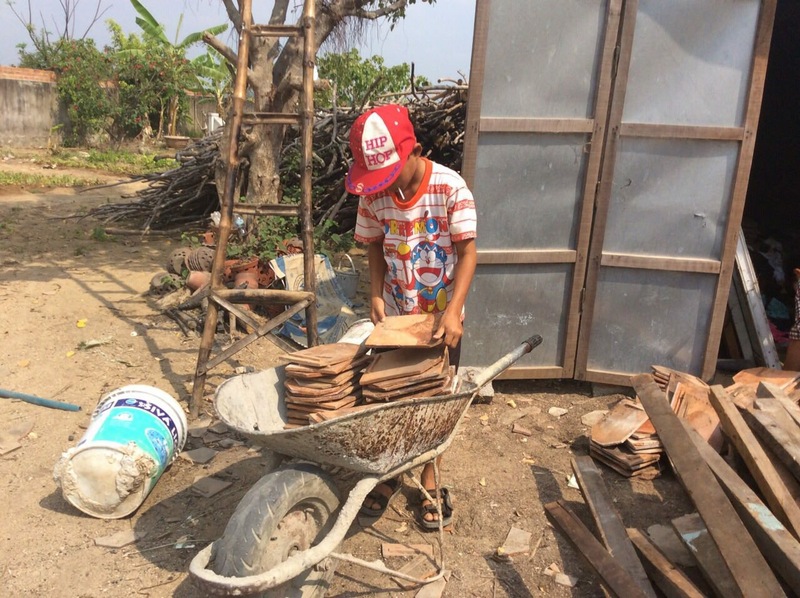 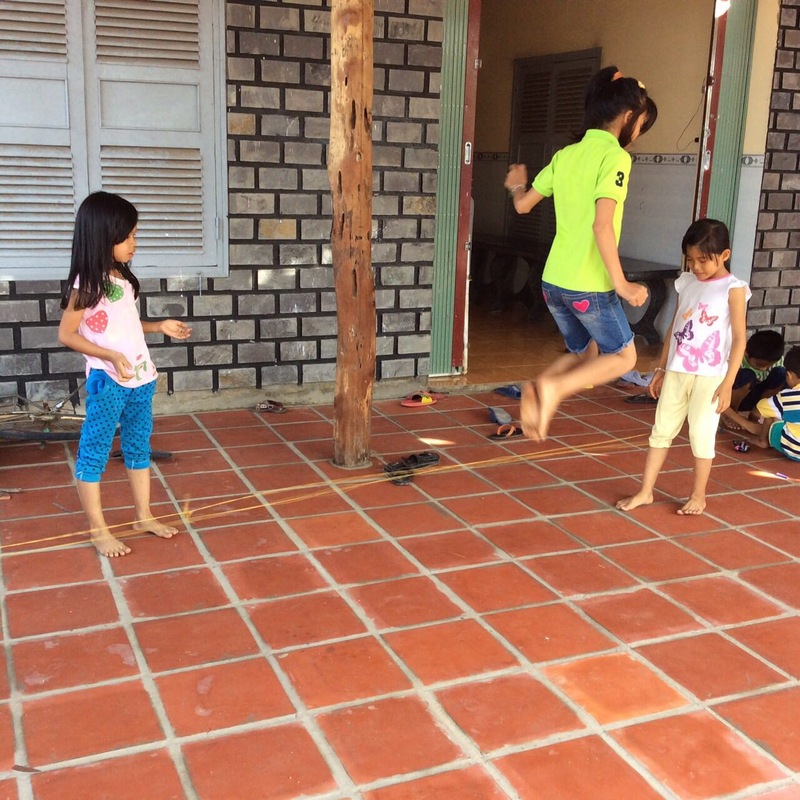 The children and volunteer caregivers were eager to help out, and did small tasks as construction was under way. 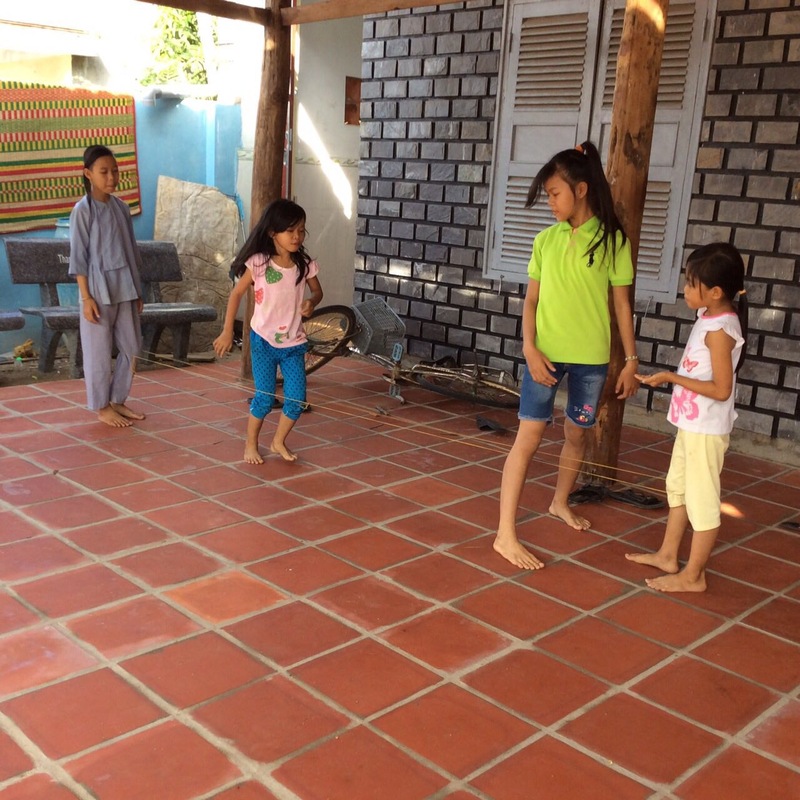 Now that the project is complete, the children have a large area to play, with tiled flooring that can be cleaned and maintained, and a roof to keep the elements at bay. 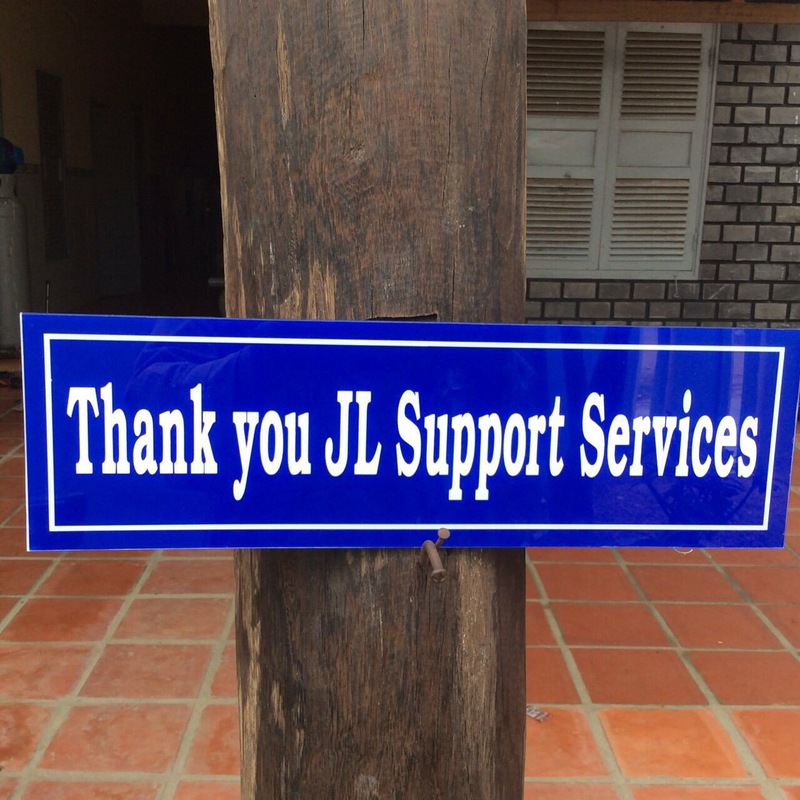 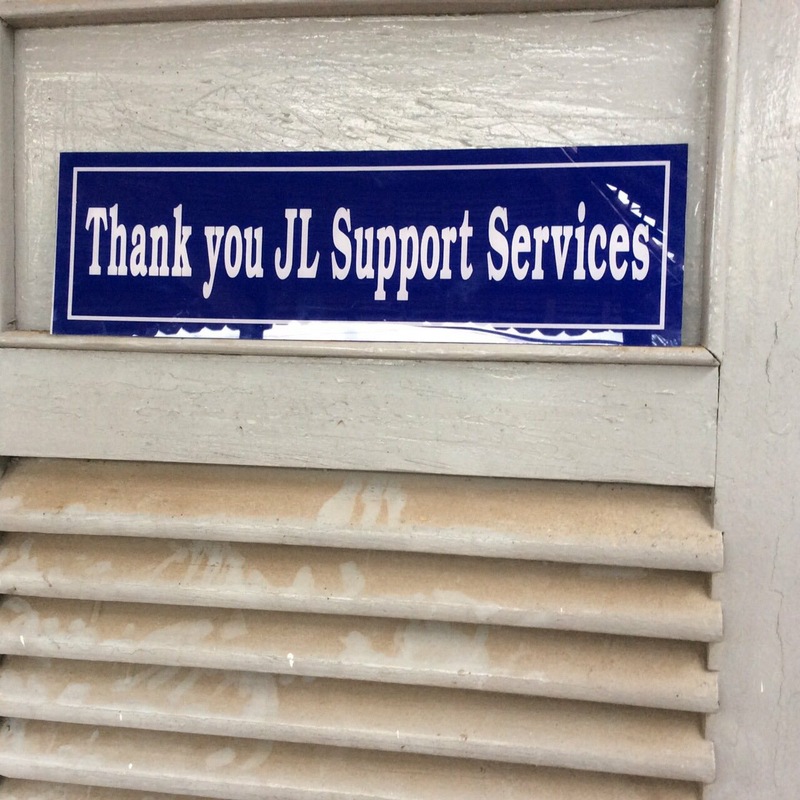 This project was sponsored by the continued love of JL Support Services.